The settlement brings an end to the suit originally filed in April 2011, which alleged Apple's process of in-app purchasing was too easy for children to accrue fees on their parents' credit cards. 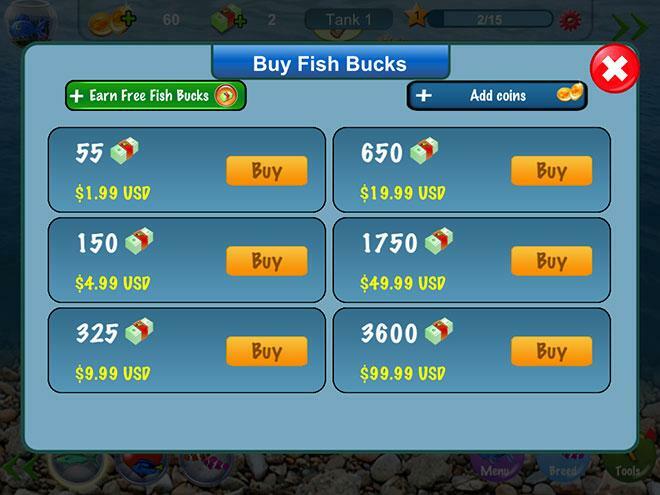 Tap Fish HD is an example of a "freemium" app with in-app purchasing. Plaintiffs in the case claimed their kids were buying game currencies without realizing they were spending hundreds of dollars in real-world money. As noted by GigaOm, plaintiffs will receive a $5 iTunes gift card or cash equivalent for most claims, while those exceeding $30 can file fora full refund. Children were unwittingly charging $99 to more than $300 worth of in-game content to the credit cards associated with their parents' iTunes accounts, the suit said. At the heart of the issue are so-called "bait apps," otherwise known as "freemium" apps, that can be downloaded at no cost but provide for in-app upgrades sometimes priced at over $100. Apple was dragged into the battle for its implementation of iTunes account passwords, which allowed for a certain amount of time to pass before a user was prompted for a password. The password window was adjusted in iOS 4.3. For its part, Apple noted that parents have the ability to stop their children from purchasing the digital wares, though the argument apparently fell on deaf ears. After a preliminary assessment of the settlement is approved by a federal judge and all claims are filed, Apple will likely start meting out payments as early as the end of 2013.